One of the scariest possibilities for a pet owner is their dog or cat getting out and getting lost. You can get tags with your address before they get out, or place posters and ads if they manage to run away, but there’s no guarantee you’ll find them again. And you feel helpless. A GPS tracker won’t absolutely guarantee the safe return of your pet, but it sure gives you a greater chance of finding him again. This vital technology becomes more affordable every day. And we’ve put together a list of our top choices for pet trackers. 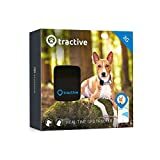 Using Tractive LIVE technology, the Tractive GPS tracker is one of our top choices for live tracking collars for pets. This tracker works for any animal, even up to an animal the size of a horse. Whatever pet you’ve got will be covered with this awesome tracker. The Tractive GPS tracker has 24-hour monitoring that shows your pet’s movement throughout the day. The tracker also has enabled safe zones, which means you can train your pet to know safe places, and when he’s crossing the line into danger. Garmin is one of the most well-known trackers in the business. The company started making GPS devices in the early 90s, selling their technology products to the United States Army. Since then, Garmin has grown and expanded their mapping and tracking technology. The Garmin GTU 10 is one of the most well-known Garmin pet trackers. It uses the AT&T network for tracking pets, and attaches to your pet’s collar in a Velcro pouch. This tracker is a little larger, so primarily is used for larger pets like dogs. The Garmin GTU 10 is web accessible through browers or the mobile app. You can set up and configure your pet’s geo-fences via your phone, and set up email alerts any time your pooch crosses his boundary lines. This awesome tracker has an unlimited tracking range. The Garmin GTU also has adjustable battery settings, and is more of the most affordable Garmin pet tracking products. The Scollar Pet Tracker is another favorite among reviewers and real life users. It comes with all the handy features you’d expect from a pet tracker, like activity tracking and notifications. But the Scollar also includes some health notifications. If you have a pet that tends to get overheated, this is a great tracker for you. The collar regularly takes your pet’s temperature and sends alerts if anything is off. The Scollar also allows pets to use enabled electronic doors, and creates safety zones to help keep your kitty or pooch safe from wandering into the streets. Best of all, the Scollar is a modular system. That means you can build on from the basic collar. If you need to start out with just the basic tracking module, you can add on as time passes. Training features and others can be purchases and added on as you discover your need for them. The Whistle 3 GPS Pet Tracker is one of the best trackers for a lot of reasons. It’s not technically a collar, but rather a clip-on, which you can use with your pet’s current collar, or a new collar if it’s time for an upgrade. The Whistle 3 is highly rated on a host of review sites because it’s highly durable, waterproof, and technologically linked to your mobile phone. You can set up geo-fences for your pets, and any time they leave these areas, your phone will receive a notification either by text or app push notification. 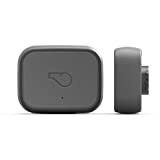 A big part of what makes the Whistle 3 such a high quality tracker is the fact that it uses both GPS tracking and cellular technology to home in on your pet. This tracker also has nationwide coverage. Technically, the Marco Polo is a radio frequency, or RF, tracker, rather than a GPS tracker. Because of being a radio frequency tracker, you won’t need a monthly subscription, which is a great feature. The tracker is a bit more expensive upfront, but since you don’t pay that subscription cost, you actually save money in the long run. The Marco Polo has a long battery life, and offers live tracking. You’ll receive wandering alerts if your pet leaves the designated safe zones. While we hope your pets never get lost, we feel confident that any of these trackers will help you relocate your furry friend and bring him or her home. We recommend purchasing and placing one of these awesome trackers on your pet before you ever have to find out if you really need one or not.